Police officers, corrections officers, and firefighters have some of the most dangerous occupations in Florida and across the U.S. Fla. Chapter 112 offers first responders and law enforcement agents additional workers’ compensation benefits through the heart and lung statute in which these particular workers are relieved of proving that certain illnesses occurred in the line of duty such as heart-related maladies and tuberculosis. These diseases are presumed to have been caused by the very nature of the employment. According to the National Institute of Mental Health, post-traumatic stress disorder is a condition that arises after a person has experienced a shocking, scary, or dangerous event, which can affect a victim for weeks, months, or even years. After a particularly gruesome accident or event, it is common for witnesses to that event to suffer from PTSD. 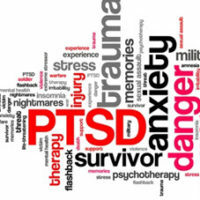 If left untreated, PTSD may become permanent. Taking time off work, seeking professional counseling, spending more time with family members and friends, being in nature, and exercising are important steps to take while recovering from PTSD. In Florida, mental injury like PTSD is not a compensable workers’ compensation injury unless it results from a physical injury for all workers except first-responders. A first responder may receive medical treatment for psychiatric injuries in the absence of physical injuries but not lost wages or indemnity benefits. In order to determine whether PTSD is covered under workers’ compensation, talk to an experienced workers’ compensation attorney at once. PTSD is a seriously debilitating condition that affects thousands of Florida first responders every year. Call the experienced West Palm Beach workers’ compensation attorneys of Celeste Law Firm today at 561-478-2447 for immediate advice regarding workers’ compensation benefits.